When we think of avocado, we probably think of it on toast (ideally with a soft-boiled egg and a pinch of chili flakes), in smoothies and in Instagram-approved avocado bowl recipes. What may not immediately spring to mind is avocado in our skin care products. All the reasons avocados are so healthy for your body apply to the skin as well. The fruit (yes, fruit) is high in vitamins A, B-complex, C and D, magnesium, calcium and many other amazing minerals, according to IdoMagal, founder of Lavido. Plus, avocados contain fatty acids that provide nourishment to dry, flaky skin. Its superfood credentials are why some health enthusiasts slather avocado on their face so the skin can reap the benefits. Those who prefer to save their bags of avocados strictly for eating can still enjoy the skin-perfecting benefits of avocado thanks to the rising number of skin care products formulated with avocado oil. Avocados’ nourishing properties make them well suited for skin care products, but the ingredient can also be found in hair, bath and even makeup products. And you thought we had already reached peak avocado. Another great thing about avocado oil is that it’s suitable for all skin types. Sipenock points out that avocado oil is generally a more hydrating oil than some of its counterparts but it can still work for those with oily skin. When combined with other ingredients, avocado oil helps hydrate skin without making it greasy. 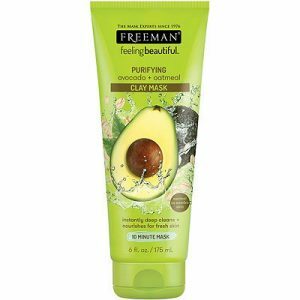 Feeling Beautiful Avocado & Oatmeal Facial Clay Mask, $4.29 at Ulta The massive avocado on the package is a big clue that this mask is packed with good-for-skin avocado oil. 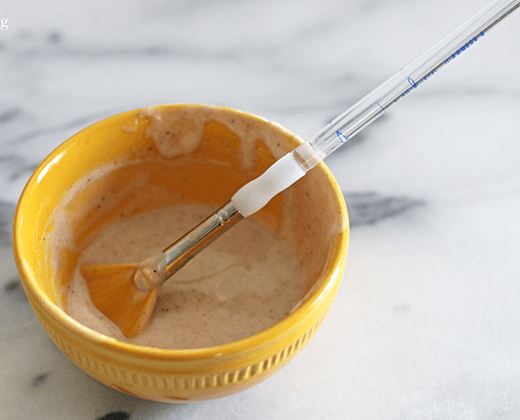 It’s mixed with kaolin clay and oatmeal to purify pores and increase hydration. Use it a few times a week for a deep clean. 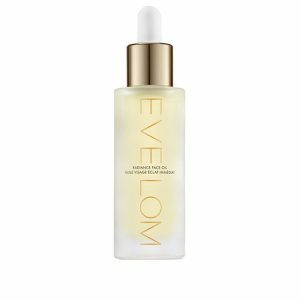 Radiance Face Oil, $80 at Space.NK This facial oil is rich in avocado oil, hemp seed oil and Abyssinian oil, but it also has rice powder to soak up excess grease.The result is a product that instantly absorbs into skin while leaving behind a flattering matte finish. There’s no need to worry about shiny foreheads when using this stuff. 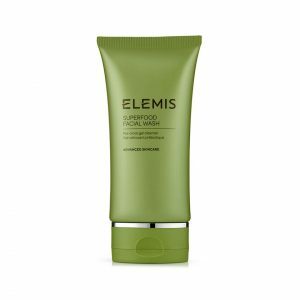 Superfood Facial Wash, $25 at Elemis Don’t just start breakfast off with avocados — start your skin care regimen with them. The facial wash is packed with skin care superfoods, including wheatgrass and kale, plus avocado, broccoli seed and pumpkin seed oils. 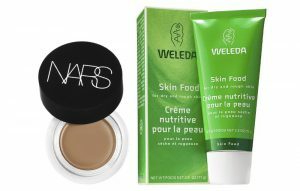 The product is suitable for all skin types and helps boost skin’s natural glow. 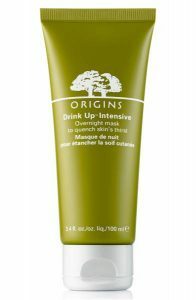 Drink Up Intensive Overnight Mask, $27 at Nordstrom This overnight mask is like a quenching drink for skin. 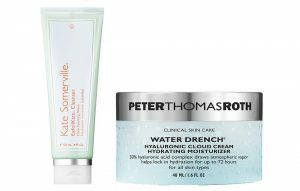 Apply it before bed and the hydrating formula will instantly boost moisture reserves. The next morning, skin will be plump and glowing without any mask residue on your pillow. Most importantly, skin will remain soft and smooth as the day progresses. There are certain outfit combinations that are "in" every single year. Each spring, we break out our booties, pull out our favorite pairs of jeans, and reunite the dynamic duo you’ve been waiting to wear. 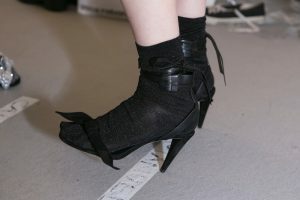 But what keeps us coming back to this combination is that how we wear ankle boots with jeans is never the same from season to season. Right now, it’s all about pairing sock boots with relaxed denim, and we have proof. 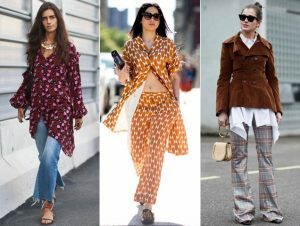 The cool combination has become an instant favorite among trendsetters like Selena Gomez and Bella Hadid. 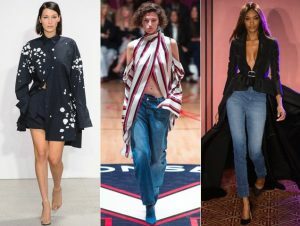 Where skinny jeans might clash awkwardly with boots that cling so tightly, the wider legs of relaxed jeans ensure that your boots and pants aren’t facing off for attention. Style the dynamic duo with a fitted tank or a casual tee, and once things cool off, throw a coat on top. Winter may still be around for a while, but now you’ve got a go-to outfit to get you through all the chilly days to come. On Selena Gomez: Frame Le Noveau Jeans ($239); Zoë Jordan coat; Louis Vuitton bag; Roberi& Fraud sunglasses Selena styled her denim and boots with a long plaid coat, perfect for chilly weather. On Chrissy Teigen: Alexander Wang Denim Jacket ($450); Gucci Printed Cotton-Jersey T-Shirt ($550) and Leather Belt ($420); Balenciaga Stretch-Jersey Sock Boots ($995). A denim jacket gives Chrissy’s look a relaxed vibe. On Sofia Richie: Stuart Weitzman The Clinger Bootie ($598). Sophia’s white boots are a must. Even if they didn’t receive an award on Sunday, Academy Award nominees still went home with something fun: an Oscar gift bag worth nearly $100,000. And this year’s haul will include an unexpected food gift: a box of high-end maple syrup. That’s right, maple syrup. Of course, the syrup isn’t your typical grocery store stuff. The 100% pure organic maple syrup and maple-derived products, made by a company called rouGe, are produced in Qubec, Canada, and are marketed as luxe food gifts geared towards celebrities. 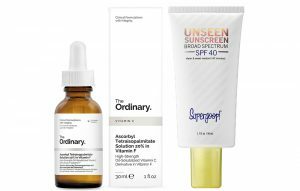 The products are offered online only, in three types of packages, though the nominees will receive an Oscar-specific multi-pack valued at $100 (greatly increasing the value of a short stack). For the rest of us, there’s the Celebrity Gift Set ($125), which includes maple syrup, maple and raspberry dressing, maple and dijon dressing, prepared maple mustard, and Julie’s hard maple candies. The Prestige Gift Set ($125) has maple syrup, three types of maple jelly, maple butter, and the hard candies. The Premium Gift Set ($225) offers both the Celebrity and the Prestige products. All three come with a personalized official certificate of adoption of a maple tree in Quebec. Other food gifts in the Oscar gift bag include oranges from the delivery app Epifruit, Chocolatines chocolate, Southern Wicked Lemonade Moonshine, Delicacies Candy & Confections organic vegan lollipops, the Danish cookbook Cook Yourself Happy by Carline Fleming, Posh Pretzels gourmet pretzel gift boxes, and Quincy Herbals detox tea. 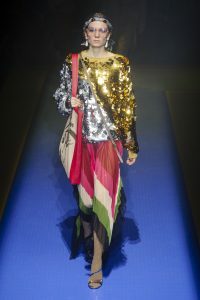 For more products, check out Fortune’s list of the best and most unusual parts of the goodie bags. To all those who have spent countless hours wrestling with dryers, straightening irons and even chemical treatments to get every hair in place: Times are changing. Gone are the days when sleek, bone-straight hair was the ultimate hair goal. This season, soft, tousled curls were all over the runways. Yes, it’s time to toss your straightener and mega-hold gel aside and embrace unstructured, carefree waves and coils. If you weren’t born with natural ringlets springing out of your head, there’s no need to fret. We asked Dana Tizzio, senior stylist at Butterfly Studio Salon, to give us tips on how to curl your hair, even when yours is super straight. When you’re working with little to no texture in your strands, any styling booster helps. Tizzio recommends setting hair while you sleep to build texture. “Braiding hair in two low braids overnight is a great base for adding more texture,” she says. Simply snooze and wake up to tousled, wavy hair. 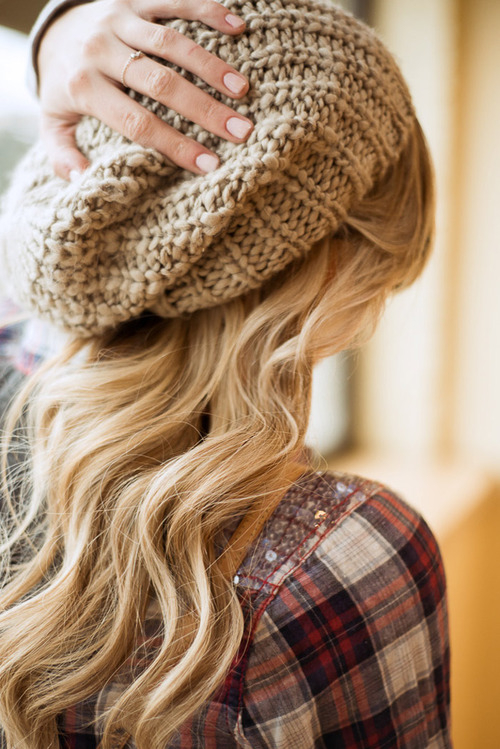 If you prefer a ringlet-shaped curl, swap your plaits for two low buns. Remember: The tighter you twist your buns (and the more buns you have), the tighter the curl. From wands to curling irons to hot rollers, there is a tool to help you achieve your hair goals, especially when trying to add texture. “For a more long-lasting curl, opt for a 1-inch curling iron over a wand,” Tizzio recommends. “If you have naturally straight hair, wands often give results that may be too loose to support fine hair strands.” For a more relaxed curl look, try hot rollers for extra volume and bounce. Once you’ve settled on your method for perfecting your spirals, find a product that will not only enhance the texture but keep curls in place all day long. “Workable hairsprays are best because you can use them before applying heat as well as a finishing spray to keep hair in place,” says Tizzio. If your strands fall limp, try a dry spray or dry shampoo to plump hair density and add thickness and volume. 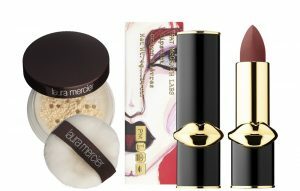 Tizzio likes Shu Uemura Sheer Lacquer ($26.99) and Oribe Thick Dry Finishing Spray ($42).